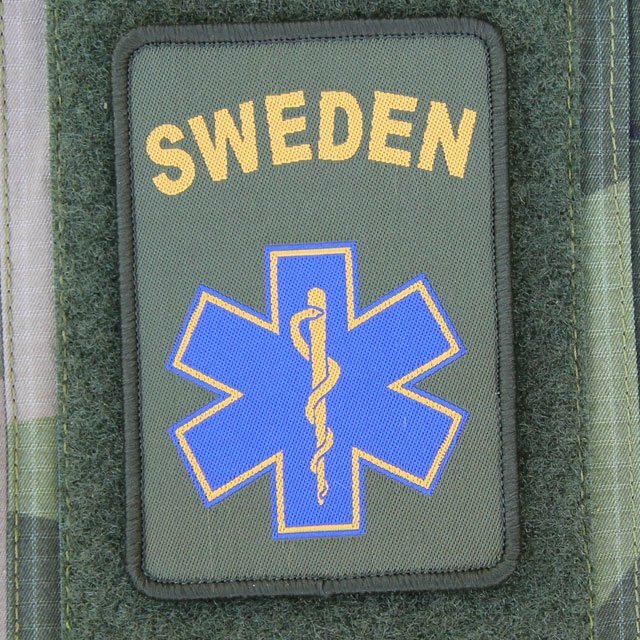 The SWE MEDIC DesertHook Patch is a patch in highest quality and is unique in design. It features the yellow text SWEDEN in an arc over the "Star of life" symbol and a few of them have seen service in Afghanistan (non BOA). The bright Swedish blue and yellow colors placed on a sand color background gives an impressive patch!